Yes, you can afford a top-notch college education! You'll want to leave no stone unturned when it comes to paying for a great college education, so get the guide that answers all your questions! 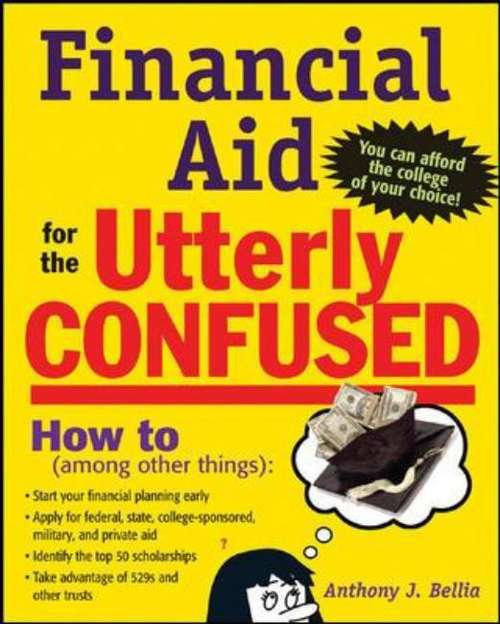 Written by a top financial aid pro with 30 years' experience, Financial Aid for the Utterly Confused clues you in on all your financing aid options. And it walks you through the entire process of obtaining the maximum amount to which you may be entitled. You get: Expert guidance on applying for all forms of financial aid; Insider tips on government and private financing, grants, and more; Proven cost-cutting strategies; Sample forms and worksheets; Early financial planning strategies for parents.